For an immersive, indulgent experience. 60 minutes signature Stress Melter Ritual at HBC combines a massage with a Natural Lavender Compress Ball, scalp treatment, and an aromatherapy. Designed for ultimate relaxation. This upgraded Swedish massage is our guests' favorite indulgence. It is designed for ultimate relaxation and pampering. The long, gliding and soothing strokes can be applied with light, medium or firm pressure. This therapy incorporates an aromatic heated pillow for your neck and back, aromatherapy experience, relaxing scalp treatment and circulation boosting with warm compress ball. The lavender Compress Ball is made from wheat and lavender flower wrapped in cotton fabric. It can be used to apply soothing strokes to massage, or acupressure, parts of your body to address chronic problems, as well as to increase energy flow, improve circulation, relax muscles and stimulate nerves, all for your ultimate Spa experience. Mu-Xing Therapy is a treatment using warm bamboo to perform deep tissue massage techniques. 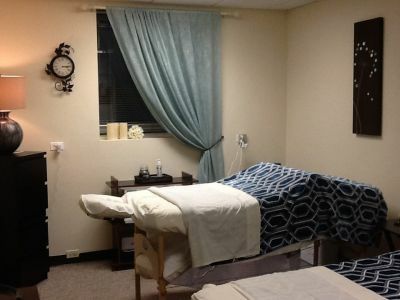 Using different sized and shaped tools, the therapist applies a variety of massage strokes which address ischemic tissue and promote a deep sense of overall well being and relaxation. Bamboo is 100% natural without any coating or vernishes. Using bamboo in this raw form allows for greater sensitivity and palpation of the tissue and muscles. Taking control of your body gives you the confidence you need to feel good about yourself. Waxing will give you a clean, smooth surface that is silky soft for weeks. Sanitation, cleanliness and comfort are HBC top priorities. All body waxing is done in complete privacy to ensure all your needs are met. A soothing lotion is applied over waxed areas to ensure client’s comfort. Come in and experience it for yourself. After a complimentary consultation, patients recline comfortably on a treatment table while a technician sweeps over specific trouble spots with VelaShape’s handheld mechanical massager. The device delivers a combination of suction, radio frequency, and infrared technology to help reduce fat cells and smooth cellulite like a zamboni driven by a jazz saxophonist. BioSlim Lipo treatments use beams of red light to spur lipolysis. This causes the fat cells to release their fatty acids and glycerol into the body and shrink, resulting in lost inches. Bodies then flush out the expelled fat-cell contents via the lymphatic system or burn them for energy.The noninvasive treatments require no downtime, allowing clients to immediately return to work, run errands, or sidle newly slimmed forms through miniature turnstiles. VelaShape treatments are valid on the following areas: upper arms, stomach, bra line, love handles, inner thighs, outer thighs, back of thighs, knee area. Derma rollers are designed to stimulate the production of new collagen and elastin, AND to make serums, acids, and creams more effective than if you were to apply them alone. A derma roller is made of up hundreds of micro-needles. When rolled across the skin, the derma roller creates thousands of new micro punctures in the thicker dermal layer. When this happens, the skin’s capacity to absorb up nutrients increases by up to 80% more product than if you were to solely apply the product. More absorption equals magnified benefits. Infra red body wrap.Burns calories, increases metabolism and reduction of edema, produces fat & inch loss, eliminates cellulite, induces cellular detoxification, enhancement of skin tone, possible improvement of hypertension and diabetes, provides many other health benefits. The Slimming Body Wrap combines ancient techniques with modern technology to create a safe,effective far- infrared treatment for cellular detoxification. Far- infrared heat energy penetrates deeply into body tissues-6 to 8 inches. Water molecules in the body resonate with this frequency and are stimulated and activated. The vibrational resonance pushes out toxins that are stored in the fat cells. This action of improving circulation increases metabolic function and cleanses the body of the harmful accumulated toxins that cause disease and imbalances. The result of one 40m. treatment will burn up to 140 calories by pumping blood equivalent to a cardiovascular workout. Five treatments consistently produce a 2 inch loss over the treated areas. Transforms fat tissue to look smooth and healthy. Rebuilds & increases circulation and metabolism rate, combat spider veins, polishes skin surface, stimulates fat drainage. Free radicals from stress cause the break down of cells that worsen cellulite condition, with super antioxidants and rich nourishing botanicals, LipoMelt fights free radicals and the aromas relieve stress. These professional body skin care treatment are designed to deal with body area where fluids excess, unsightly fatty deposits and tissues slackening. They are formulated to eliminate the ' orange peel' aspect of the skin due to fatty deposit excess and favor suppleness and elasticity to tissues while improving the skin texture and softness to its surface. This treatment provides a realistic, proven solution to the problem of cellulite and localized fat deposits. This remarkable blend of essential oils combined with pure marine ingredients effectively restores a healthy metabolism to adipose tissue and eliminates toxins and excess fluids from yet body. Body wraps are an all-natural, effective way to contour the body and reduce inches through detoxifying, toning, and tightening the skin and soft tissue. This rejuvenating treatment will exfoliate, improve circulation, smooth and nourish, while moisturizing the skin to reveal a healthy glow. Detoxifying Herbal Blend is a combination of specifically picked organic herbs that includes a mixture of ginger root, rosemary, allspice, eucalyptus, and clove to help the body relinquish toxins and fats from the adiopose tissue while being wrapped. They also help the body intensify the cleaning process. These herbs naturally possess the ability to pull toxins from the skin. -They also help the body intensify the cleaning process. -These herbs naturally possess the ability to pull toxins from the skin. Helps the body relinquish toxins and fats from the adiopose tissue while bathing or being wrapped. Infrared body wrap.Burns calories, increases metabolism and reduction of edema, produces fat & inch loss, eliminates cellulite, induces cellular detoxification, enhancement of skin tone, possible improvement of hypertension and diabetes, provides many other health benefits. The Slimming Body Wrap combines ancient techniques with modern technology to create a safe,effective far- infrared treatment for cellular detoxification. Far- infrared heat energy penetrates deeply into body tissues-6 to 8 inches. Water molecules in the body resonate with this frequency and are stimulated and activated. The vibrational resonance pushes out toxins that are stored in the fat cells. This action of improving circulation increases metabolic function and cleanses the body of the harmful accumulated toxins that cause disease and imbalances. Call us at (224)875-9857 to schedule your session. Ultrasonic has been used for cosmetic purpose since the early 1980's. Because of its wide therapeutic use and the great results, the ultrasonic instrument is a natural for use in skin care treatments. The Ultrasonic Spatula is the new generation of microdermabrasion or what is being called soft peeling. There is little to no redness or downtime with this treatment. This unit offers ablation or retexturizing results with the safe and gentle use of ultrasound vibration of up to 28,000 cycles per second. Facial Lifting, Skin Texture improvement, Mechanical Massage, Lips and eye contours. Stimulate blood flow to improve the skin health and appearance. Accelerate your skins natural production of collagen and elastin, drain tributaries and eliminate fluids, puffiness and dark circles around the eyes. 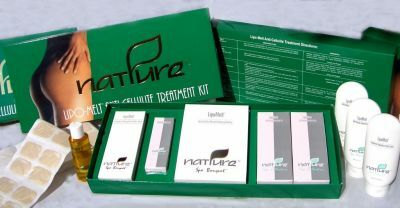 It is the perfect natural solution for anyone looking for younger, firmer and thicker skin without surgery or injections. 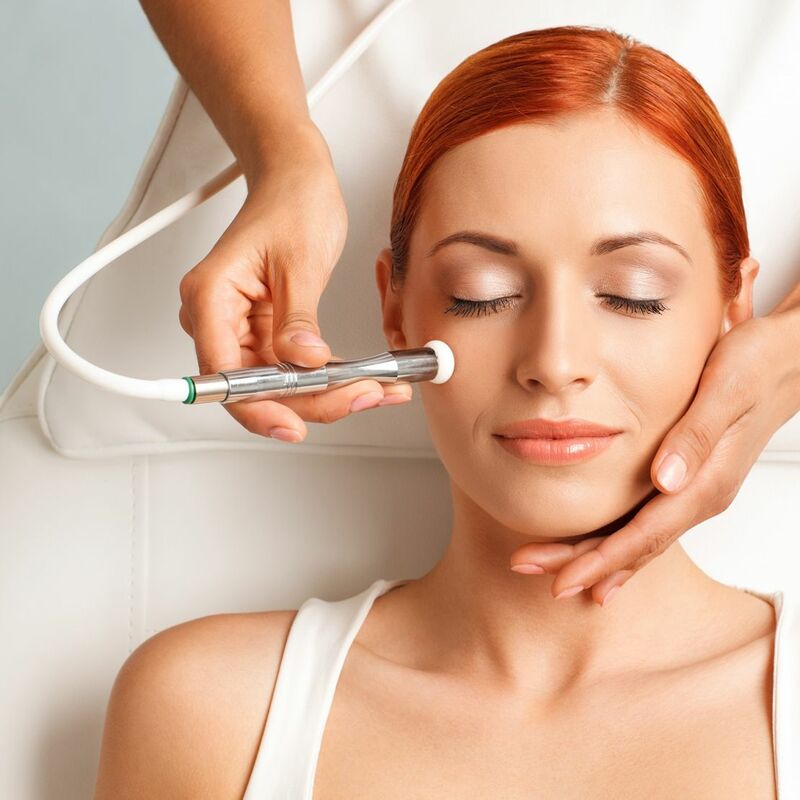 Microcurrent face lift is a relatively new beauty treatment that is slowly gaining popularity among beauty-conscious people. A creamy and clear complexion along with taut and supple skin is really a dream. With today's lifestyle, where eating junk food on the go and dismissing the thought of joining a gym as absurd has become the norm, it shouldn't surprise one to see that barely anyone has soft and perfect skin. At times, despite religiously following all the rules of skin care with regular cleansing, toning, and moisturizing, people still may not have skin worth showing off. This is where beauty treatments come into the picture. 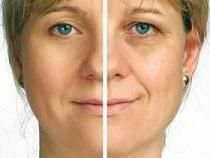 Among the dime a dozen treatments that have their own sect of religious followers, one that stands out is microcurrent facial sculpting. Given below are details regarding what this procedure entails, and what are its various benefits. This makes the skin undergo a sort of mini workout. This workout triggers a host of benefits, which leads to a complete rejuvenation of skin. As the electrodes are applied, the procedure gives rise to production of protein molecules in skin cells. Apparently, it has been researched that the application of electric current leads to healing of the tissues and bones. This therapy helps improve the tone of the facial muscles and also improves their blood circulation, thus, aiding in quick removal of toxins. Due to the significant improvement in muscle tone, the skin looks tighter and more supple. It also leads to skin exfoliation, which removes the superficial dead cells and reveals newer and healthier cells. It helps prevent the face from looking swollen due to edema. 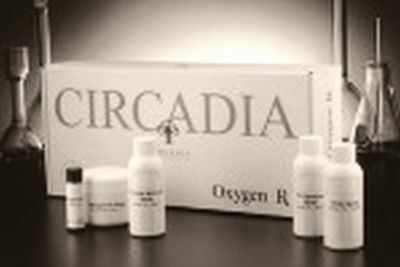 It aids in lightening out scars and pigmentation marks that may be present. It helps tighten pores and lighten blemishes and slight scars. Repeated sessions help to not completely eliminate, but substantially reduce the appearance of fine lines and wrinkles, especially those that are present on the forehead and around the lips. PCA dermatologist-approved treatments have been addressing número use skin conditions with formulations for over two decades. These advanced solutions combine exfoliating acids, melanogenesis inhibitors and skin-strengthening agents to provide maximum benefits with minimal discomfort and little to no downtime. The synergistic effect of their ingredients provides corrective and nutritive benefits while exfoliating the surface of the skin to help minimize fine lines and wrinkles, and even skin tone. Microder­mabrasion, one of the most sought after esthetics treatments, involves a trained technician mechanically exfoliating the skin through a hand piece. The devices most commonly use abrasive particles such as aluminum oxide crystals, sodium bicarbonate salts, silicone-derived particles, or a micronized diamond-tip as the method of exfoliation. As the hand piece is gently glided over the skin, the particles or diamond-tip are directed on the outermost layers of the skin. At the same time, the crystals and detached keratinized cells are drawn into a waste container of the machine through suction. This combination of exfoliation and suction creates a mild stimulating response in the skin, similar to that of superficial chemical peeling methods. While results vary among individuals, microder­mabrasion has been reported to improve the appearance of the skin by softening fine lines, reducing superficial skin discolor­ation, evening the texture of the skin and providing the skin with a healthy glow. Although some clients do see improvement in these conditions with multiple treatments, it should not be over-stated. Additionally, microder­mabrasion should never be used for inflamed skin conditions including grades III and IV acne, rosacea, eczema and psoriasis. 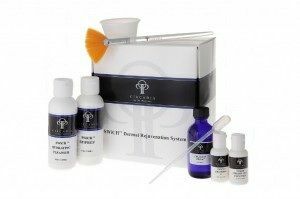 This treatment designed to address aging skin on the body, to target varied skin dyschromias on the body, also is ideal for those patients fighting acne on the body. It is appropriate for treating the arms,hands,legs,chest and back, resulting in smoother skin with more even skin tone. It is most effective when performed at three-week intervals. 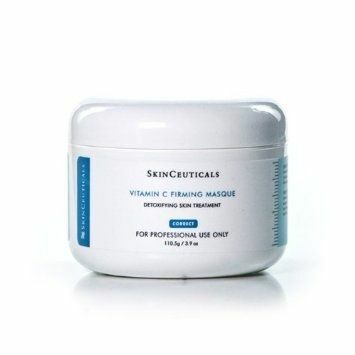 A hydrating clinical treatment, creating a cooling effect on the skin to revitalize, moisturize, and soothe. 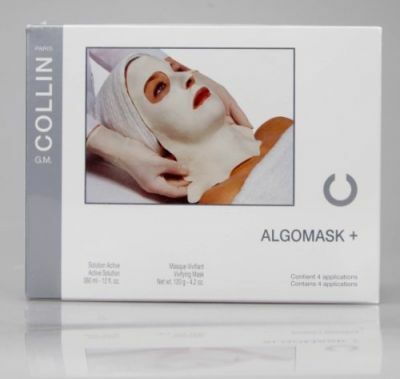 Its thermo-cooling effect on the skin makes it a remarkable revitalizing treatment particularly for reducing redness. Formulated with vitamin C and amino acids, this masque exfoliates skin and protects cells from free-radical damage while tightening, detoxifying, and restoring a firm, youthful, radiant complexion. Eyes are the mirror of our soul! Let our soul reflect through beautiful,bright and playful eyes that stand out!Lashes enhance your natural beauty. Eyelash extensions are exactly what you need! There are different styles of lash extensions as well as density. Classic look is 1 to 1 for example (one extension on each of your individual lashes). Then Volume can be 3-5 to 1 and as another example: Russian Volume can be anywhere from 6 to as many as 20. But also keep in mind - your specialist will choose the right length and thickness that is appropriate for your individual Eyelashes. There are other important details that distinguished the quality of the work done . Eyelash extensions will make you feel more beautiful and confident. Also, it will save you time in the morning, and no make up and mascara needed. Try them yourself and see the difference eyelash extension will make in your life - not just the way you look, but also the way you feel! We specialize in eyelash extensions providing a safe experience following all the advised standard precautions and health measures. Our lash technique tailors the perfect design for your individual’s unique eye shape with different lengths and curls. 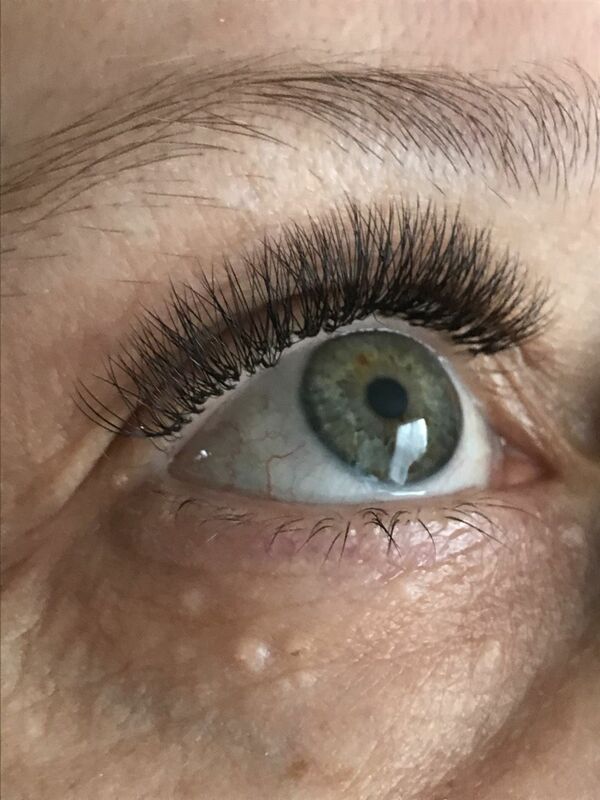 We provide both classic lashes and multi-volume lash extensions such as Russian Volume(etc), using only premium synthetic and silk material that is curled to imitate a natural lash. This ready-to-use gel has sea kelp for metabolic stimulation and nutrient rich Klamath Blue-Green Algae to hydrate and detoxify. The active moisturizer base includes willow bark extract, aloe vera oil, Vitamin E, rosehip seed oil, lavender, and a touch of fragrance to lift the spirits. This special combination of ingredients gives a pleasant scent for you. Provides excellent results with or without a compression wrap. No shower needed! 100% Natural Ingredients. Unique Worwdwhile Best Seller. Guaranty 1 to 2 inch less from the first treatment. PARAPAB is cold paraffin, totally pure containing active ingredients selected for their slimming advantages. Paraffin is directly applicable over the body with an appropriate brush and turns instantly liquid as it warms up on contact of the body and allows the ingredients to be absorbed into the stratum cornermen layer. When paraffin has been brushed onto the body, the latter is wrapped up in an isotherm ice foil or silver thermo blanket is then set for the ingredients to penetrate into the tissues.